can help reduce the risk of injury. Absolutely SO impressed with selection of footwear and service. Went in for a browse and had never seen such a great in-store selection of footwear for tricky feet! 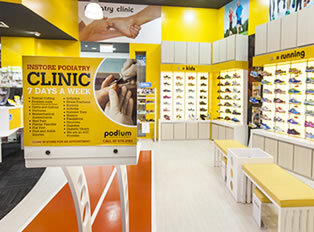 The store manager was superbly helpful and it was so reassuring to be served by someone who was both a podiatrist AND very knowledgeable about their product. Very pleased with the two pairs of summer footwear I came out with.